Grew up with Efes Pilsen Spor Kulubu Istanbul (Turkey) juniors. Signed for the 2000-01 season by Muratpasa Antalya. Signed for the 2001-02 season by Pertevniyal, in the Turkish 2nd division. Signed for the 2002-03 season by Fenerbahce Istanbul. Signed for the 2004-05 season by Efes Pilsen Spor Kulubu Istanbul. On November '04 signed for the remainder of the season by Besiktas JK Istanbul. Signed for the 2005-06 season by Tuborg Izmir. Signed for the 2008-09 season by BK Banvit. Signed for the 2009-10 season by Erdemirspor Belediyesi. 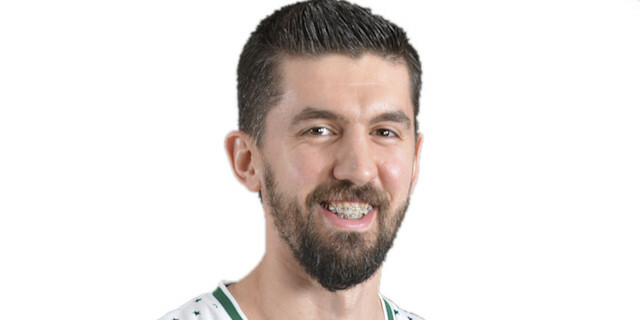 Signed for the 2011-12 season by Banvit BK Bandirma. Signed in January'15 by Pinar Karsiyaka Izmir. Played at the 2005 and 2009 Mediterranean Games.